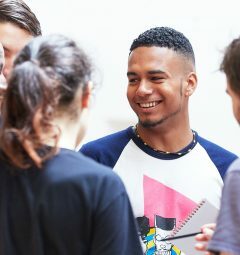 Take the Lead is a free employability programme from The Old Vic for students aged 16–18 that uses theatre techniques and creative workshops to build on five core skills: communication, self-management, self-belief, teamwork and problem solving. 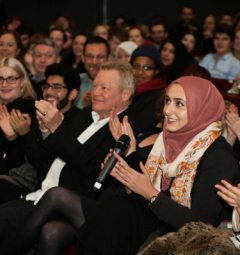 This programme is created in collaboration with schools and businesses drawing on The Old Vic’s expertise as a theatrical institution and is specially designed to support young people to take ownership over their next steps after school. Take the Lead is open to any students, not just drama students, and we will work with 20 schools across the year and up to 1,000 KS5 students. Take the Lead will take place twice across the 2018/2019 academic year. Applications are now open for a second 10 schools to take part in the programme between Mon 24 June and Fri 19 July. Applications for the June/July dates of the programme are now open. For full details of the dates, and to apply please click here. Each school can apply for two places on the programme working with a maximum of 50 KS5 students across the two groups. Schools involved in the first round of the programme are welcome to reapply for the second round. 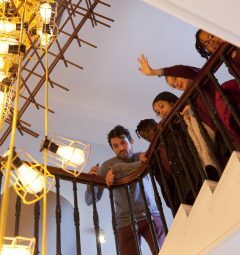 Please email: takethelead@oldvictheatre.com if you have any questions about access requirements or would like more information about the programme.